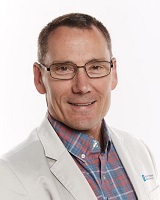 Jeff Kerby has 20 years of experience as a Physician Assistant including family practice, urgent care and emergency medicine. He is the Director of EmmanuWheel, a 501(c)(3) charity for building wheelchair ramps for mobility-impaired citizens who cannot afford the cost. Jeff is a Colonel in the Army Reserve with 33 years of service including tours in Afghanistan, Saudi Arabia and Kuwait. He is currently the Commander of the 7456 Medical Battalion. He has completed over 30 sprint and international distance triathlons. He is married to Trish Kerby, who is retired from medical social work. They have two adult children: Kristen and Cameron and one grandchild, Carson. He is a former elder of the Lexington Church of Christ in Lexington, SC and currently attends the Otter Creek Church of Christ in Brentwood, TN.